Have you ever been asked to do something that you really didn't want to do? Have you ever felt a gentle nudge in your heart urging you to take something on that scared you? Have you ever said this to God?..... "Not me God, please not me, I don't know how, I don't know what to say, I don't know what to do. Please don't send me. please don't make me talk to that person about you. I don't know scripture, I don't have the words". I believe we all have those thoughts and prayers. I have to admit to that almost daily. Even Moses questioned his abilities. He told God that he was not eloquent, that he was slow of speech and tongue. 10 Moses said to the LORD, "O Lord, I have never been eloquent, neither in the past nor since you have spoken to your servant. I am slow of speech and tongue." We all doubt ourselves at some point in our lives. We all have moments of worry and trepidation about certain times or situations. I doubt myself more often than I would like too, I also question my abilities more than I should, especially when it comes to talking about Jesus. The beauty is this, we don't have to worry or feel anxious, He will provide the words if we are truly meant to speak them. I have this beautiful image in my mind of God reaching down from Heaven, placing His words on my lips with his hands. How could I question my qualifications if I am open to His working in me? I don't have higher education in theology, I cannot rhyme off verses from the Bible, I cannot claim to have the perfect Godly life.....notice the "I", I cannot do anything, but HE can do everything in me and through me. I have to be willing. So, am I qualified? 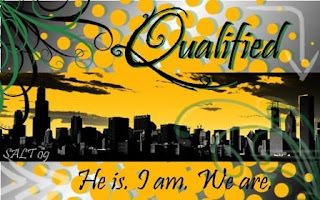 Are you qualified? YES, we are! If you are feeling that gentle nudge, or if you hear those quiet whispers from God, be brave, be courageous. Imagine the life we could have if we allowed God to use us. Remember that it isn't always the big stuff, sometimes He just wants us to hold someones hand, or smile at someone on the street. We may not even be aware of how God used us, we may not get credit, or praise. That isn't what it's about, it is only and all about HIM. Let Him work in you, let Him use you, say "yes" to God and see where it may take you. 7 For God has not given us a spirit of fear and timidity, but of power, love, and self-discipline. I really have been thinking about my feet lately. I know what you're thinking..."Cheryl must have a lot of idle time on her hands". I can assure you that I do not, but sometimes my mind does wander to things such as this. My feet are in real need of a pedicure right now, lucky for me (and my feet), it is booked for tonight. My thoughts however, have not been on my need for a pedicure, or how cute they look when they are cleaned up and have new fresh polish on the toe nails, nope, my thoughts have been a little more deep than that. It amazes me how God put us together, how every small and fine detail is so perfect in its design, right down to the little toe. Even that little toe has purpose. Purpose...hummm...I must be going somewhere with this right? RIGHT! 15"And how can they preach unless they are sent? As it is written, "How beautiful are the feet of those who bring good news!" Beautiful feet. Yes. We all have beautiful feet if we are bringing the good news of Christ. This doesn't mean that we will all be sent to far away places, our mission field is right where we are today. Let us all have the courage to share the love of Christ, let us all be brave enough to tell people what Jesus did for all of us. I have a few friends who will be travelling to a far away land next month. They will be sharing to people the love of Jesus, to them I say, remember just how beautiful your feet are. You have been called. So, I thought that I would give this blogging thing a good try. I must confess, I am not very computer savvy, so this is a big stretch for me. Nor, am I a profound writer or speaker. On that note, thanks for stopping by to read my "rambling". My hope in doing this blog is to encourage others to live the life they are meant to live according to our Lord and Saviour. I am on my journey and would like to share with you my insights or "aha" moments on a regular basis. Please be patient as I am new at this as I said, so I am learning how to make this an interesting and uplifting blog for you to visit. What do I know for sure? 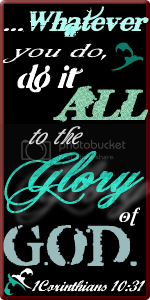 I know that I am chosen by God, I am one of His beloved, I am cherished by Him, I am beautiful to Him. I know that He has a divine plan for my life, one that I have been running away from until recently. 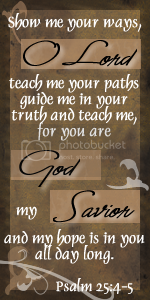 I know that His way is the right way and that I am nothing without Him in my heart and life. I know that "I can do all things through Christ who gives me strength" Philippians 4:13.That is a little scary sometimes. Is the Lord going to send me far away? Is He going to make me give something up that I hold onto tightly? Is He going to ask me to love someone that I don't want to love? The answer is YES, YES, and YES.....and we can, through Him who gives us strength. I know this to be true because I have experienced this in my own life and have seen it in others lives. I know for sure that if we truly surrender all to Him, He will make a beautiful thing out of our lives. How do we surrender? I am learning this on a daily basis, and I must tell you that I am not good at it. I like to have control, I even enjoy being in charge sometimes. I know that I am on a journey of increasing my faith, and having faith is the only way to learn how to surrender it all to Him. I pray that you would continue to increase my faith. I pray that you would increase the faith of all those praying this prayer. Lift us up, Holy Spirit come and do your mighty work in us. Give us the courage to walk in your ways, to be who you made us to be, to do what you are calling us to do. Thank you for loving us. Amen.